Locking Caster Kit with 5" swivel wheels brake for Reliant, 9805, 9805P, and GHS350 Patient Lifts. Locking casters generally not recommended on patient lifts because it becomes a safety hazard. The Lifts are safer if allowed to move a little as patient lifted, otherwise, with a locked brake, they can get tipsy. 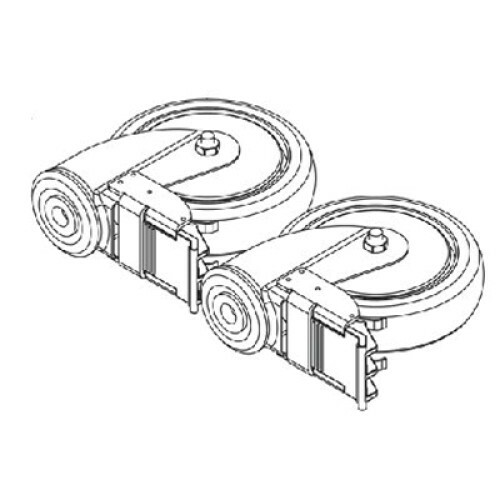 Locking casters are mostly used for parking and storage.